At Flowline limited we understand, CCTV Pipeline Surveying is vital for effective asset management to prevent/reduce damage to your business and its surrounding environment. Our expert drainage engineers are highly skilled, health and safety orientated and will survey sewers, culverts and pipework from ranges 75 to 3000mm. Flowline’s accurate and quality reporting will give you knowledge in vital areas such as the location and depth of sewer pipes and a clear understanding of their condition. Recommendations regarding any potential risks or items to be aware of will also be communicated. Depending on our customers report viewing preferences, there is choice in how you access your reports on our secure online portal, out and about on your mobile/tablet, USB and video is also available on request. Additional highlights of our quality services can be seen with our Flexiprobe System. This is highly regarded by our customers as our operators can tackles issue with drains and sewers from 100mm to 225mm diameter. Emphasis on being portable is the key to survey findings success and with battery pack intact, we are, able to work almost anywhere and gain access to those awkward spots to succeed in obtaining the survey findings you need. 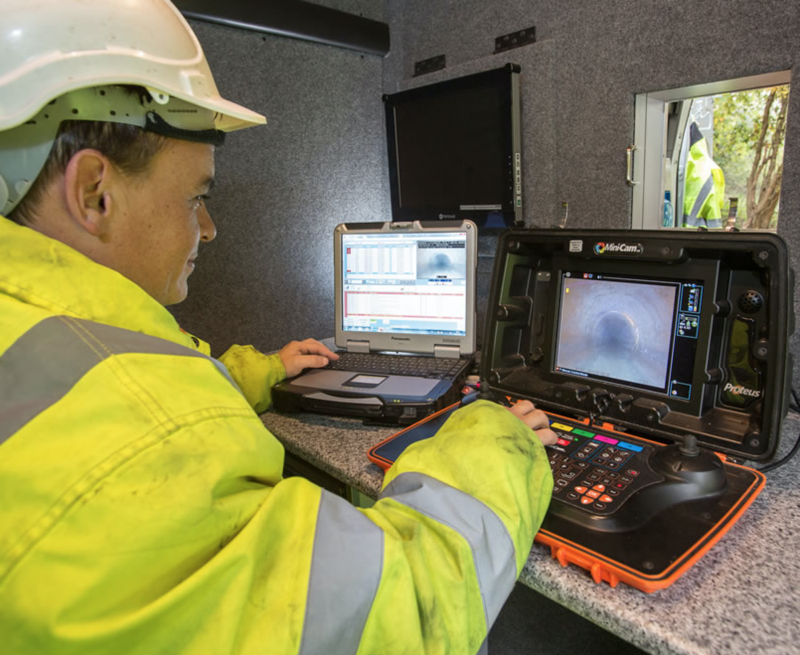 Furthermore, our Float CCTV Survey is particularly useful in the larger assets such as culverts and trunk sewers and situations where managing the flow of water to undertake a conventional survey would prove difficult, disruptive and ultimately very expensive. Flowline crawler cameras (CRP150 and CRP300) can survey pipe diameters from ranges 150-1500mm. Camera wheels are interchangeable to deal with the most challenging environments and being mobile makes these crawlers the most versatile service on the market. Further enhancements of this service are the cameras have inbuilt sondes and sensors, which when used in conjunction with WinCan VX will deliver Inclination Surveys with 100% accuracy and quality. Enhanced visibility for your reporting purposes, regarding your connections and junctions will also be maximized with our Pan and tilt camera. Zooming in and out of variable directions with a maximum turn tide of 290 degrees. Flowline has over 10 years’ experience in HADDMS and are the framework supplier to Connect Plus Services since 2009 for HADDMS Surveys on the M25 DBFO network. We delivered the largest HADDMS maintenance project on the M6 between J40-44 which included 124KM of piped drainage (the distance between London and Leicester!) and 1,214 manholes / catchpits. We have recently completed the advanced HADDMS Surveys for the largest Smart Motorway Scheme on the M4 from London to Reading. Surveys are carried out using WinCan v7.6 as required for HD43/04 compliance.